This article is cont­ributed by Leafly, the world’s largest cannabis information resource. For more information please visit www.Leafly.com. There's seemingly an infinite amount to learn about cannabis, but today we'll cover some of the fundamentals. If you already consider yourself a cannabis aficionado, you probably know most if not all of what we're covering here, but if you're new to cannabis (or rediscovering it for the first time in years), there’s a good chance this knowledge will come in handy. Brush up on your basics with answers to these 10 common queries -- they’re great starting points as you travel to a cannabis-friendly state, visit a nearby dispensary, or simply consume cannabis on your own time. Hold On, Is Dabbing Actually a Weed Reference? Cannabis affects everyone differently. 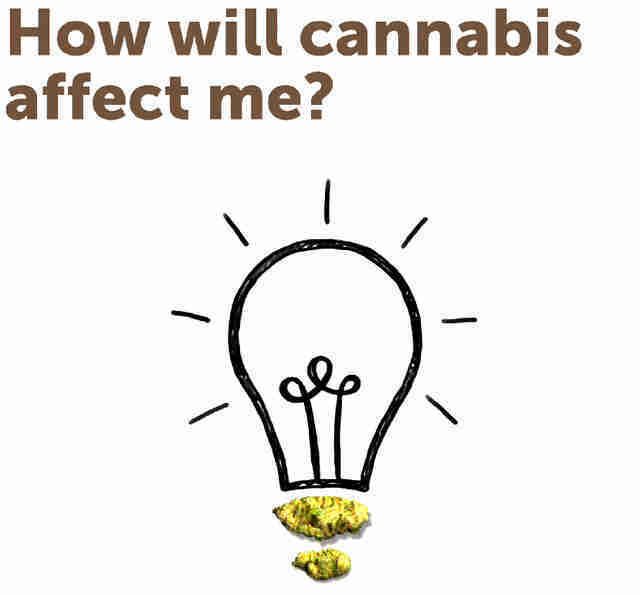 Different strains and methods of consumption give users different effects. And new users generally feel different effects than more experienced users. 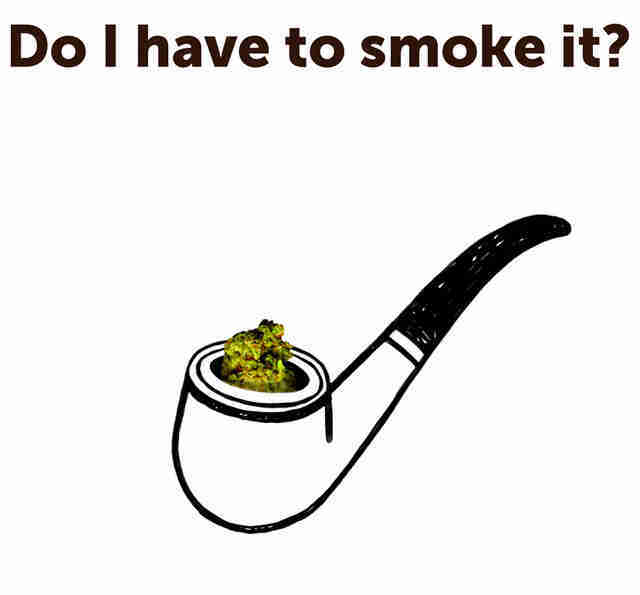 There are some people who don't feel anything at all the first time they try cannabis. Many people who use cannabis find the experience to be kind of relaxing and a little euphoric. For some, it makes them more outgoing and social. Others report that it makes them tired, anxious, or paranoid. 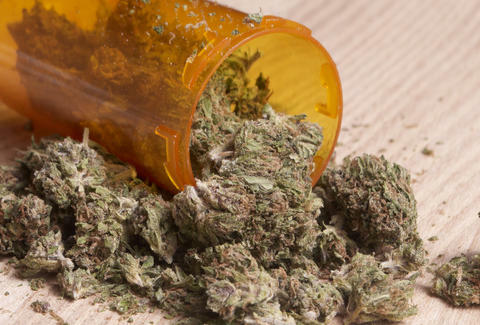 If you're not sure how cannabis will affect you, it's best to start with a low dose. If you have one, be sure to ask your local budtender for recommendations on strains, products, and doses to start with. The main difference between medical and recreational cannabis really comes down to the way it is regulated and how you access it. Medical cannabis requires a doctor's recommendation for a qualifying ailment before you can access, purchase, or consume it. Recreational cannabis, on the other hand, simply requires that you are over the legal age of 21. 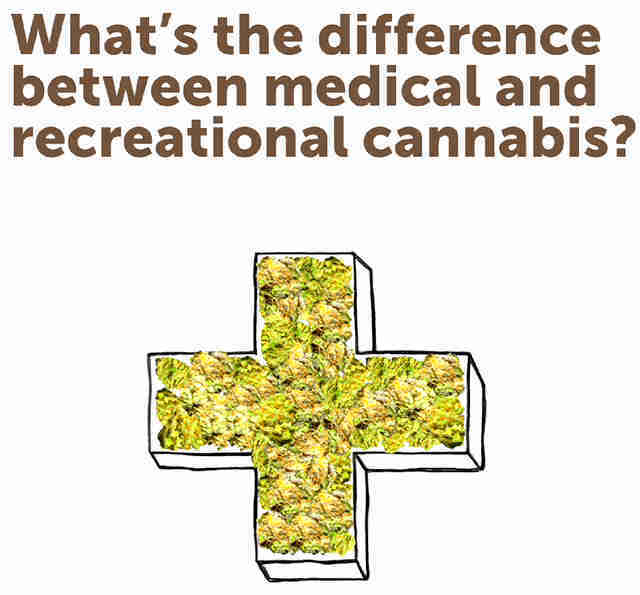 Some people also differentiate medical and recreational cannabis based on how they’re used. Recreational marijuana users are looking to experience novel states of consciousness, and connoisseurs seek different effects for different circumstances and to create different moods. On the other hand, medical users seek out strains that help with specific ailments or conditions. Oftentimes patients are looking for strains that help treat their symptoms but deliver only a mild psychoactive experience that will allow them to remain productive and active. First, make sure you know the cannabis laws in your state. It's illegal to use cannabis in public -- that includes everything from sidewalks and roads to parks, sports stadiums, music venues, and retail businesses. 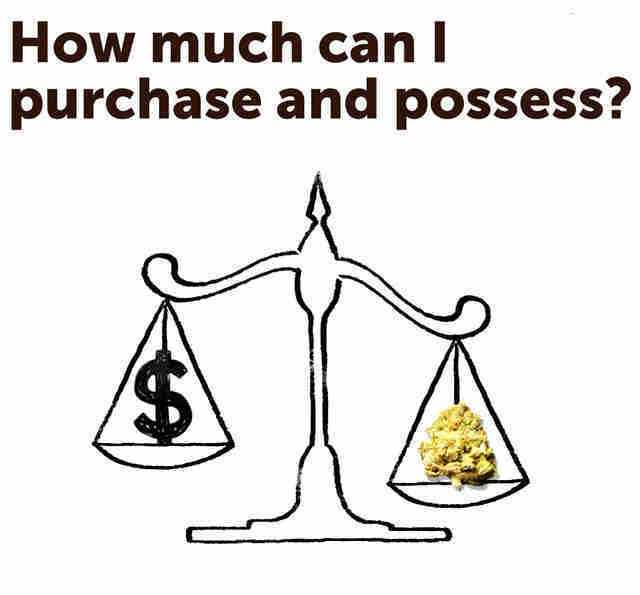 You can use cannabis on private property only, so it's best to stay home or at a friend's place. Also, remember that landlords, businesses, hotels, and other establishments may have their own policies on cannabis use, so be sure to check first before using. Don't consume while you're in the car, whether you're driving or just along for the ride. When it comes to driving, cannabis consumption is treated like alcohol and is governed by policies similar to open container laws, so it's best to keep your cannabis locked up and out of reach in the trunk of your car when traveling with it (and make sure you don't cross state lines with your product). No, you don’t! While smoking is still the most common form of consumption, there are lots of smoke-free ways you can use cannabis, all with different applications and effects. Vaporizing cannabis offers similar effects to smoking, but with reduced exposure to harmful carcinogens. Ingesting cannabis as an edible offers full-body effects that last longer than inhaling the vapor or smoke. And cannabis-infused topicals allow for localized effects with minimal to no psychoactivity. 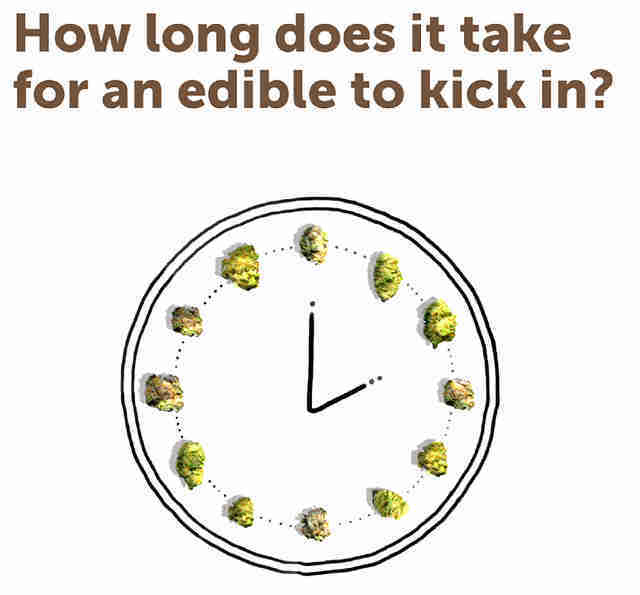 The amount of time it takes for an edible to kick in greatly depends on your metabolism. Some people with faster metabolisms may start to feel the effects after about an hour, while those with slower metabolisms may not feel anything for two hours or more. The effects generally peak up to four hours after eating or drinking cannabis, so it's best to wait at least that long before consuming more. In most places, 10mg is considered to be a dose -- which may be just right for some, but others might need a lot more to feel the same effects. Take your time and learn what's right for you, and always pay attention to the label for recommended dosages and serving sizes. A strain is a genetic variant of cannabis. Most cannabis strains can be classified as either Cannabis sativa or Cannabis indica -- two variations of the same basic species of cannabis that have adapted to their natural environments. Today we see the influence of hybrid genetics that combine both indica and sativa varieties. Sativas are known for their tall stature, longer flowering cycles, sweet flavors, and energizing cerebral effects. Indicas are known for their short stature, shorter flowering cycles, pungent, earthy aromas, and relaxing full-bodied effects. Hybrids combine the best of both worlds now that cultivators have selectively bred strains for specific attributes like flavor, potency, and overall plant structure. Cannabis ruderalis is another cannabis variant that is less common, and is mostly used in breeding projects to shorten cannabis strains’ lifecycles and help keep plants at a manageable size. 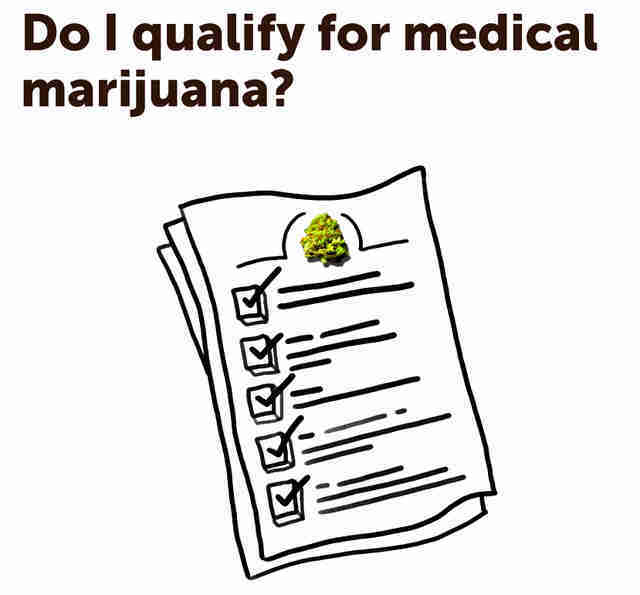 Qualifying conditions for medical marijuana vary from state to state and can often change as new legislation is introduced, so you’ll want to stay up-to-date on specifics for your area. Generally speaking, cannabis is prescribed for patients who suffer from chronic pain, cancer, PTSD, and other debilitating ailments that affect a person’s ability to live a comfortable and productive life. 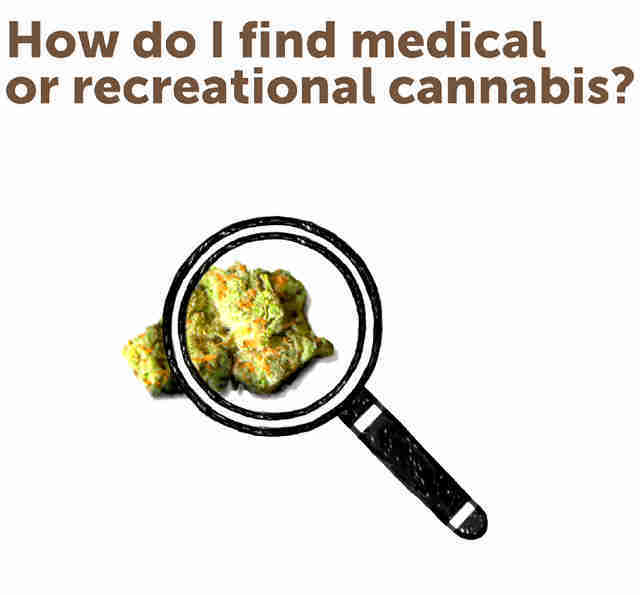 To find out if you qualify for medical marijuana, use Leafly’s “Find a Doctor” tool to locate a physician in your area who can evaluate your medical needs and prescribe cannabis if you both agree it’s the right treatment for you. Gone are the days of dialing up a friend-of-a-friend you hardly know in order to procure some product on the sly. Nowadays, there's a solution right at your fingertips. With Leafly’s free mobile app or Leafly.com, you can use the “Find Nearby” feature to locate recreational stores and medical cannabis dispensaries in your area. 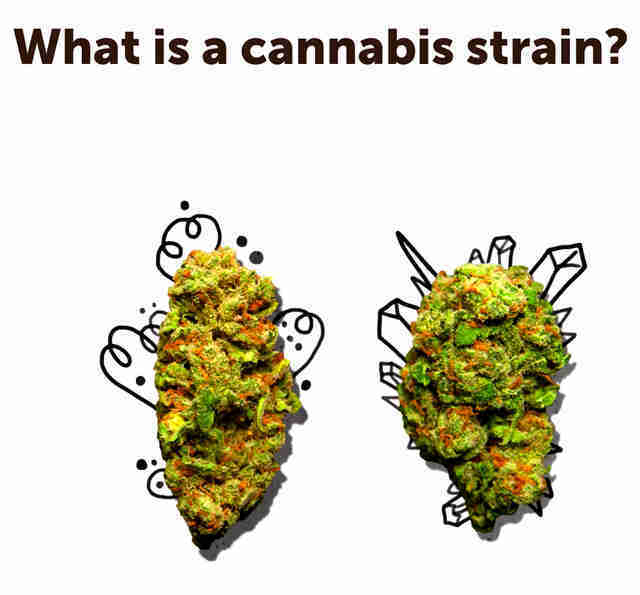 You can also find a specific strain you're looking for with the Leafly Strain Explorer. 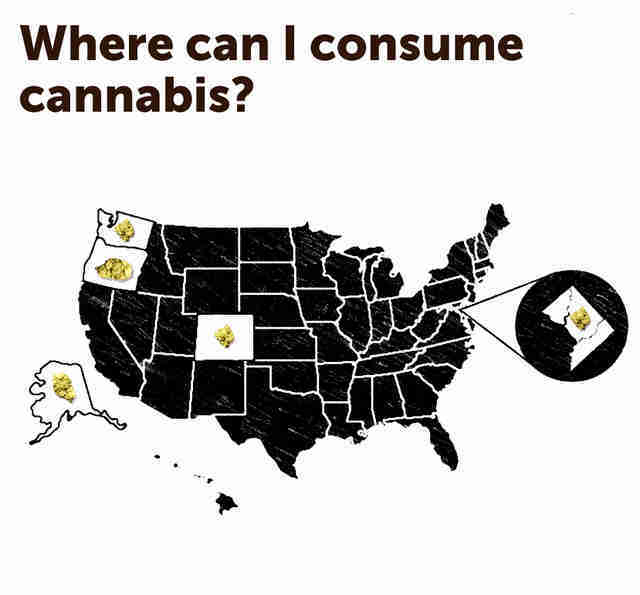 From there, you can scroll down to find locations in your neighborhood that have the strains and products you desire. 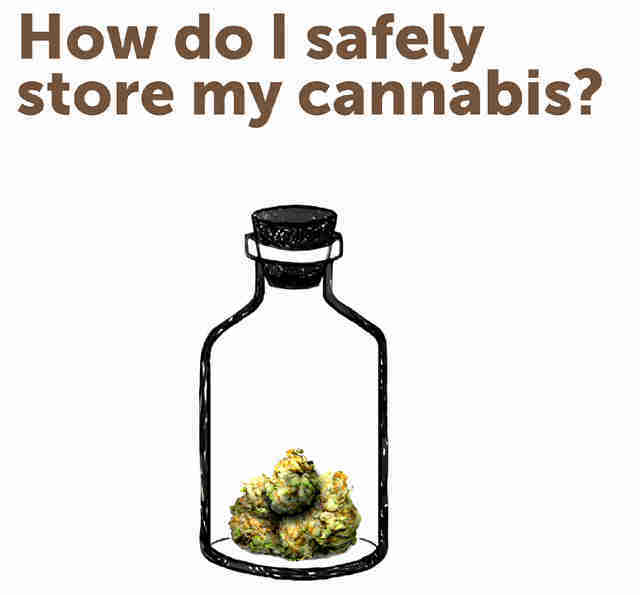 It's best to store cannabis in a cool, dark place that's out of direct light. Keep it in a container, like a glass jar, in order to minimize over-exposure to air. Keeping your relative humidity below 65% will help avoid mold and mildew. And, while not required, it's always a good idea to separate your strains to preserve their individual flavor profiles. This article was originally published in two parts: Five Basic Cannabis Questions, Answered and Five More Basic Cannabis Questions, Answered. For these and more articles on cannabis news and culture, visit Leafly News.